For the few Indian readers that I have (not that I have any non-Indian readers), do you remember Flop Show? Do you remember the episode where Jaspal Bhatti made a TV serial? Me: Thank you. I did not think there were too many funny entries there. Koke: Style of writing sentences in general. :-). It’s like you truly seriously mean to say “…” (something in Bengali that I had remarked on our trip to LA and San Diego, which had Koke and Tanuka laughing uncontrollably) but it is funny to us! 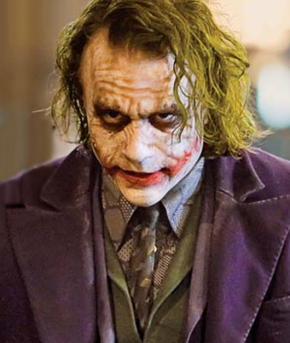 Heath Ledger as the Joker... Why so serious? And yet, I wasn’t trying to be funny.